Statistics speak to the importance of families in business together. According to the U.S. Census Bureau, 90 percent of the nation’s businesses are family-owned or controlled. And family businesses provide half of the jobs in Europe and America, according to Ernst & Young. Starting a family business is a daring thing to do, as during the early years family members sacrifice by working for free or at a lower rate than the external job market would pay for similar skills (Jennifer Xue, Silicone Valley Globe). However, as these local Sun Valley businesses say, the rewards of working together are worth the challenges. 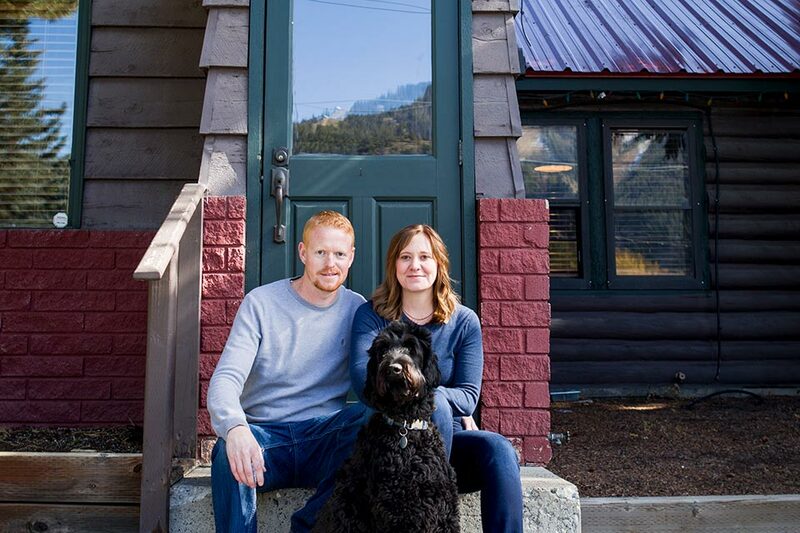 The first home Paul Conrad built for his young company in Idaho was his own, and the experience of working with his wife Jenni so impressed him that they continue to work closely together 20 years later. “It was our first real project together, and Jenni’s space planning and kitchen design showed great talent and ability, and it was really fun to work together. 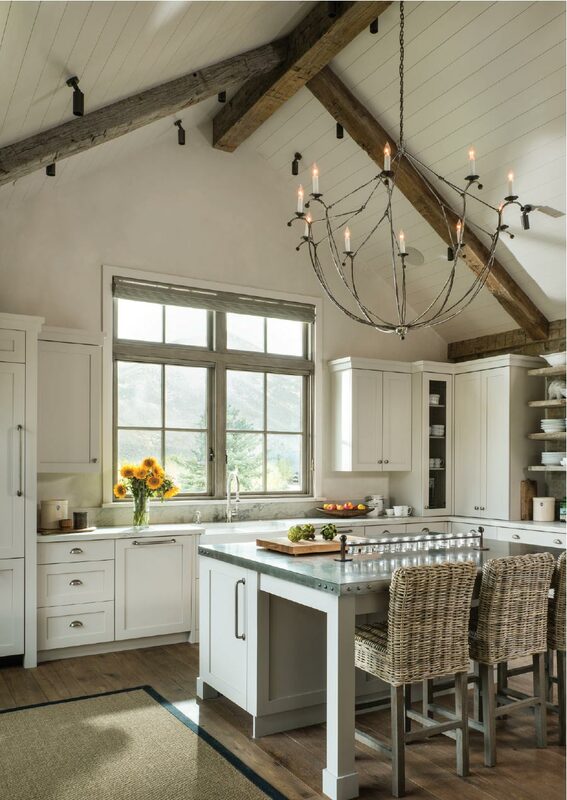 The kitchen is one of the more difficult parts of the home to execute well and requires a lot of detailing,” recounts Paul. 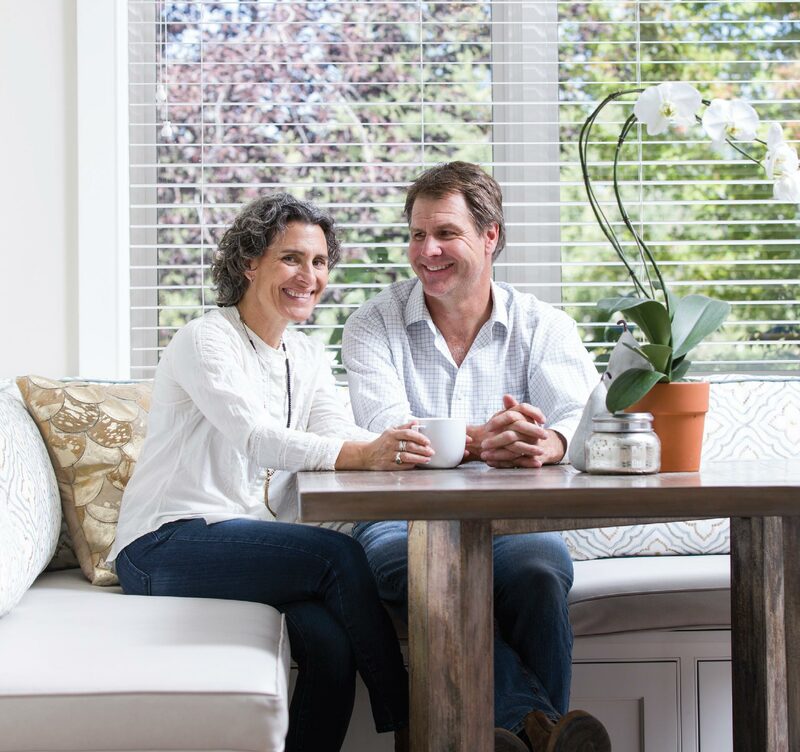 “Plus, it is where families spend the most time; the kitchen is the heart of any home.” In 1997, when they were just in their mid-20s and starting a family, Jenni and Paul Conrad made the leap to establish two businesses. Illustrating how closely the pair prefers to work, Conrad Brothers Construction and Five Star Kitchen & Bath share the same office. While each has responsibility for their own enterprise, Paul and Jenni continue to collaborate and work together with many of the same clients. In Paul’s case, he came from a background in construction in Virginia, but he never felt pressured to follow in the footsteps of the 100-year-old family construction firm, which was founded by his grandfather and great uncle. As Paul says, “I learned from my father. I saw his talent and appreciated his work ethic, but he never forced the business upon me. He encouraged me to work hard and be a good person but gave me the freedom to be myself and set my own path.” Paul reflects that he learned from the family business that expectations are high in construction, and it is critical to be great at crafting the details, to be patient, to communicate well, and, on occasion, to have thick skin. “Especially in high-end, custom residential construction, you are executing and expressing people’s dreams in your work. It is an enormous investment for them, and it requires a lot of trust,” he explains. 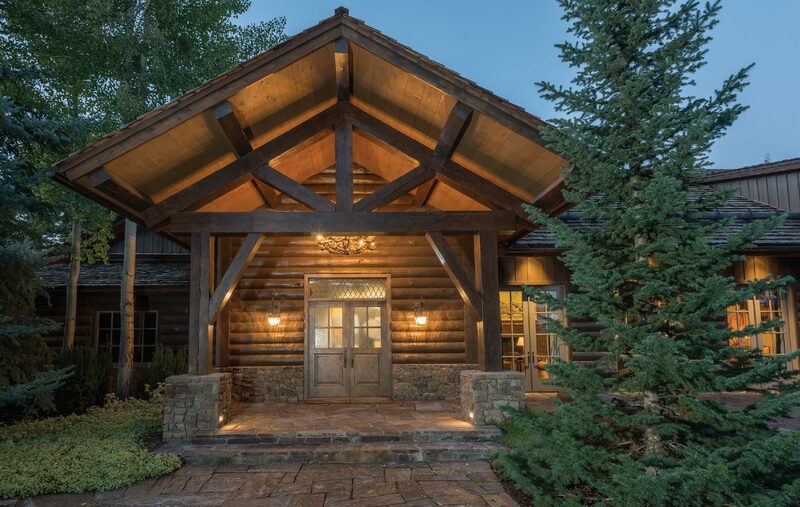 For the past 20 years, Paul has grown his firm and built many of the Wood River Valley’s finest custom homes, and he honored the family by naming his business Conrad Brothers after his grandfather’s and father’s Virginia company. Jenni describes herself as someone who has always been creative, and her early background was in fine arts. As a serious cook who loves both baking and cooking, designing kitchens that excel in performance is a natural fit for her. 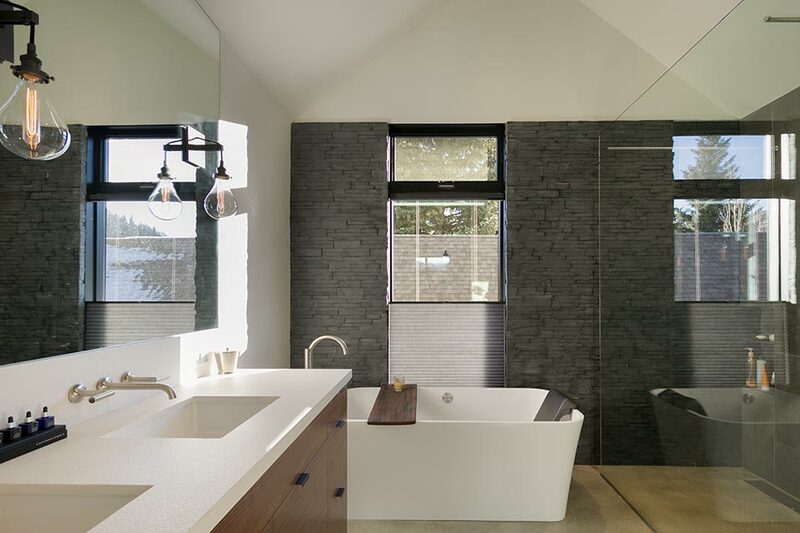 She has augmented her natural design talent with extensive classes and certification programs, and is a Certified Kitchen and Bathroom Designer. 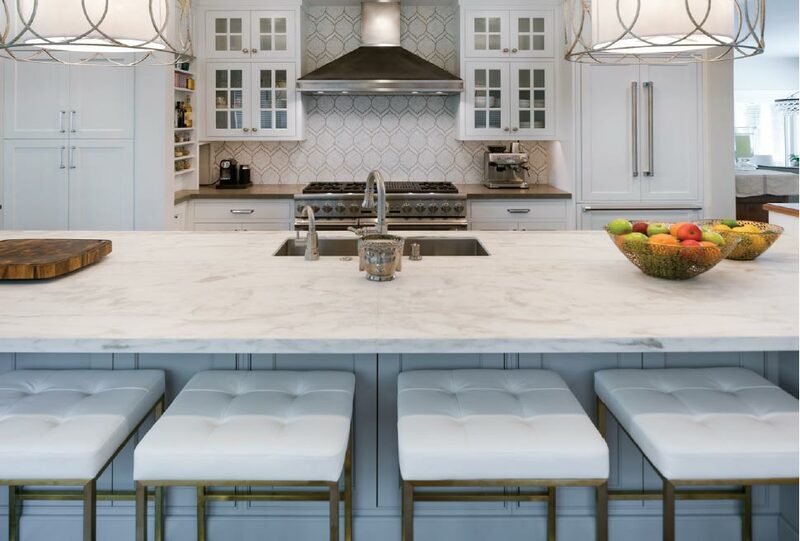 Five Star Kitchen & Bath not only designs, details, fabricates, and installs cabinets for new construction, but does space planning, remodels, and lighting design as well. The showroom displays possibilities for fine custom and semi-custom cabinetry, hardware, tile, countertops, lighting, and appliances. Jenni and her team provide plans and specs for other general contractors, or they can complete the installation on their own. While Paul and Jenni are not yet 50, it is not surprising that they are preparing for the future, and Paul has already started writing “the book” on running the company. “While we plan on working in the business for a long, long time, we are dong our succession planning earlier than most. Thinking long helps the short term, and articulating how a small business runs and operates is important,” says Paul. He quips that you have to fill the big buckets (long-term goals), as well as the little buckets (near-term goals). “Maybe in ten years, the boys will come into the business, but regardless, we want the business to continue,” he says. Do they have advice for others seeking to enter into a family business? Jenni recommends a structure like hers and Paul’s with separate but associated companies. “That way, you work together, but not for each other. We are in a different and unique arrangement that I think works. Also, you have to be open to suggestions and criticism. That makes a family business a place of personal growth,” she says. In a time when couples generally delay marriage until later in life, Corey and Amber Black stand out as exceptions. Both in their early 30s, the two met during freshman year of high school. The couple has been married for 12 years now and has two children. Both grew up in Kimberly, a small town outside of Twin Falls. “We were both raised on acreage, where responsibility and accountability were understood from an early age,” Corey comments. “We were confident we could do it,” answers Corey when asked about the big step to buy the company. “We know each other really well and share a lot of history. We respect each other, and both know that you can’t drop the ball at work and keep a good relationship at home. Trust is so important; if you can’t trust each other, everything else unravels.” Corey adds. “We like seeing each other during the day and being together at work. I know Corey is there and always has my back. Not many couples can work together. 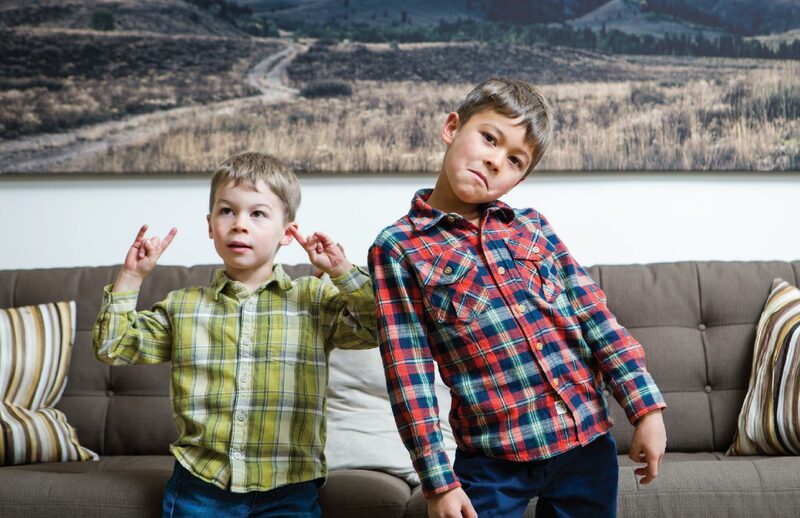 We hear it all the time, but for us, it works,” says Amber. Evident from the company’s significant growth, it’s clear that this partnership works well. 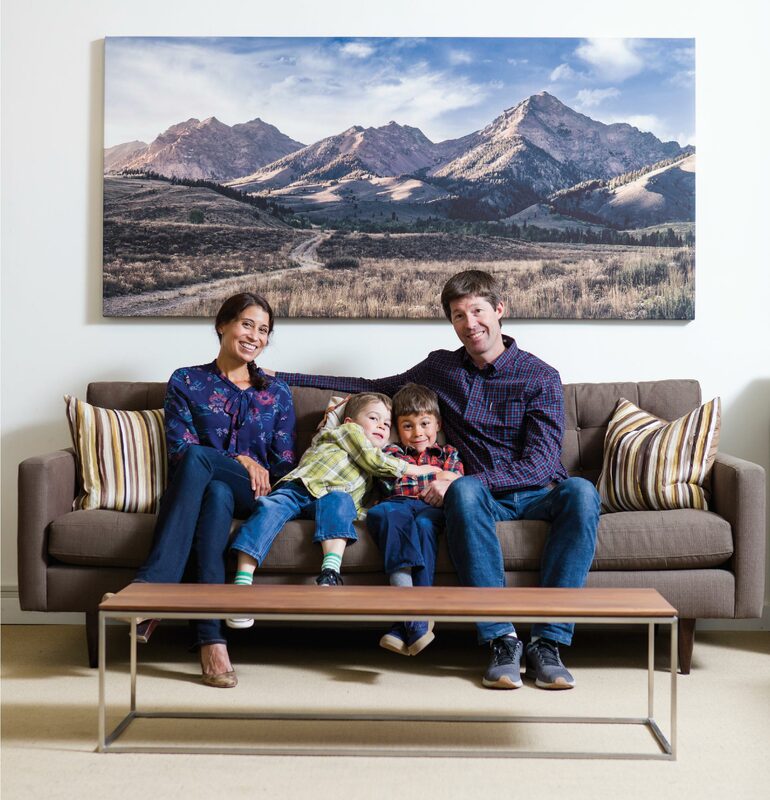 My Sun Valley Home now manages 35 percent more homes since Corey and Amber acquired the business just three years ago. Having a highly skilled staff is essential not just for the success of their business, but to also allow for family time. “We appreciate the flexibility we have to adjust our schedule around our kids’ needs, and we do the same for our employees. Family comes first for all of us,” Amber explains. 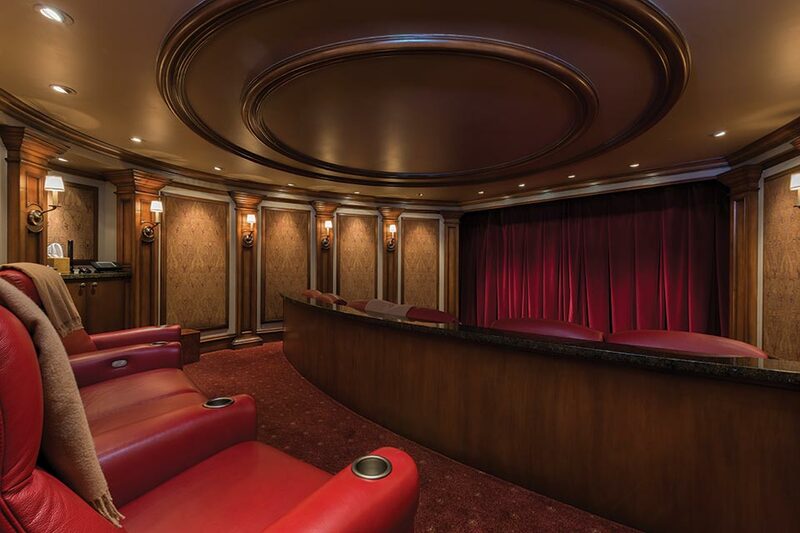 Family plays a substantial role in the culture at My Sun Valley Home. Eric Palmer, who knows Corey from Kimberly, has been with the company for several years and oversees maintenance and contracting. Amber’s father Jack assists in several different roles during the busy months, while Corey’s sister Julie Black manages concierge services and housekeeping. “However, we never really thought about the business staying in the family. David has done more than just take over the business. He has brought the benefits of modern technology to the office, and I am continually impressed by his excellent, efficient communication with clients, employees, and the trades. We are an even better company,” Carolyn adds. David agrees that there weren’t expectations for him to go into the family construction business, but he did grow up working and helping out. “Working was something we did as a family. A principle of our family is that everyone does their best, and work becomes a reflection of self. I watched my family put their heart into every home.” At the age of 10, David swept and scrapped out job sites. At 15, he became a semi-proficient carpenter. From the beginning, being the bosses’ son meant he needed to prove himself, and he has a tenacious work ethic as a result. David tells, “My attitude is to be hyper-vigilant, do the best I can, and to lead by example. I am first on the jobsite and last to leave. 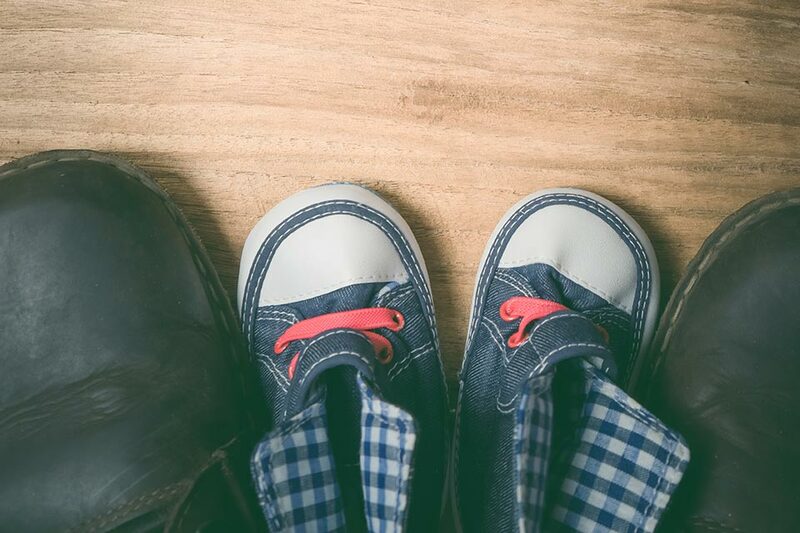 As a child, I heard conversations about budget and schedule, and I looked for small ways to ease the stress and demands on my parents.” Others tell a similar story of having to prove themselves to others when starting in the family business. Another challenge for David is to make sure that work stays at work. “Work is a reflection of who I am, and it is tough to admit that I can’t do everything I want in a day. As a business owner, work is always there, and really, I wouldn’t have it any other way,” he smiles. Some of the ways David separates from the job are mountain sports, his passion, time with his wife and two young sons at their cabin, and community events. While growing up with John and Carolyn, the family had a rule that work stayed at work, and when the day ended, time was about family. David follows the same guideline.